EMC India Center of Excellence (COE) announced the launch of Surveillance Lab in Bangalore. EMC has made a multi-year investment to form the industry’s largest, most advanced test and certification Surveillance Labs. The Surveillance Lab will help organizations to reduce the deployment risk and support requirements and also provide a proven, repeatable architecture and a known performance baseline for production environments. With the government of India’s increased emphasis on the development of smart cities, safety has become a major concern for all the stakeholders. 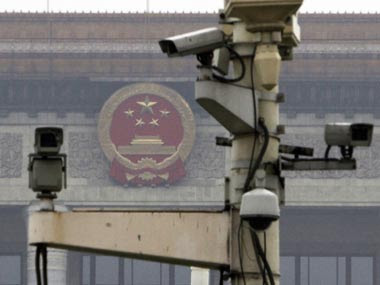 Thus, making the role of technology extremely crucial, especially surveillance technology. Shielding people, infrastructure and critical data from deliberate or accidental threats is serious business—and it’s a business that’s growing at an unprecedented rate. In the present scenario, video surveillance has become the largest and fastest-growing component of the physical security industry in India. Industry research released by IHS Technology forecasts the sales of video surveillance equipment to reach $26B in 2018, growing 2X faster than the overall IT market. The advancement made in technology and the increasing demand to strengthen the security has led to new requirements for video surveillance. Leading vendors in sectors like transport, manufacturing, IT, ITeS and government are quickly transitioning to the digital era, where large pools of high resolution video and data can be stored safely, retained and used for intensive analytics whenever required. The new Surveillance Lab in Bangalore complements EMC’s dedicated lab in North Carolina, USA that’s been testing with partners for more than 6 years. To ensure the quality of physical security applications, which is supported with EMC’s portfolio of products, EMC has partnered with the leading surveillance vendors. The lab will offer EMC Proven Solutions documentation for field sales, delivery teams and partners, Reference Architectures (RAs), white papers, technical notes and sizing guidelines, as well as technical presentations to the customers. The key features of the lab includes dedicated engineering team, partner testing & validation, proof of concept and test to fail philosophy. “Security is one of the most important components of a smart city. 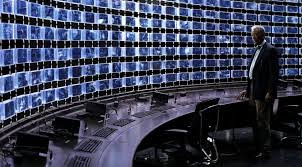 The development of dedicated surveillance lab testifies our commitment to physical security. It also underscores our commitment to global surveillance market as well as the customers in India and across APJ. Our expertise in the technology and in the security domain offers leading physical security vendors a forum that will allow video surveillance workload to be more manageable and enable easy analysis of the available data,” said Sarv Saravanan, Senior Vice President & General Manager, EMC Centers of Excellence – Asia Pacific Japan. He further added that “through this lab we aim at creating awareness about the importance of overall surveillance practice and also our advanced test/validation capabilities”. VMware, Inc, a global leader in cloud infrastructure and business mobility has reiterated its strategy to help customers in India realise the benefits of Business Mobility and transform their business processes. The company's strategy aims to free businesses from more than a decade of client-server focused IT – which enabled mobile access to a limited number of productivity applications – and now deliver a more user- and application-centric experience. 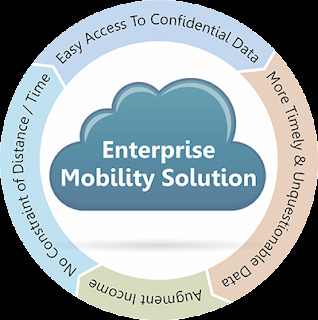 The total addressable enterprise mobility solutions industry in Asia Pacific, which includes applications, devices, security, middleware, and professional services, is expected to grow from US$22B in 2015 to US$26.7B by 2017. The market in India is also slated to grow from US$1.7B in 2015 to US$2.3B in 2017 over the same period. VMware offers a unified hybrid cloud platform that creates business innovation, new business models and delivers new applications instantly and securely to internal and external customers on any device. “Today, we believe that VMware is the clear leader in business mobility, with a comprehensive portfolio of solutions that will enable organisations to adopt true business process transformation, satisfy their employees’ business needs and drive business agility,” Deshmukh added. VMware’s Business Mobility offerings are directly linked to its foundation in cloud infrastructure, uniquely positioning the company to address IDC market predictions on growth in infrastructure investment. In addition, VMware’s newly aligned Business Mobility sales team will offer mobile security, virtual desktop infrastructure and mobile enterprise management solutions that according to IDC, are top-of-mind amongst C-level executives in Asia Pacific. VMware recently announced that it has centralised its business mobility sales team in Asia Pacific and Japan, which will be led by Sanjay Deshmukh, General Manager, Business Mobility, VMware APJ. The integrated, go-to-market team will address customer demand for a holistic approach to managing IT, based on VMware’s Architecture for New IT that enables any application to securely run on any device. India represents one of the fastest growing smartphone markets in Asia-Pacific. According to IDC, smartphone shipments to the country grew by 44 percent in Q2 2015, as compared to the same quarter in 2014, with Samsung, Micromax, Intex, Lenovo, and Lava leading the market. As devices become more affordable, IDC expects India to maintain a double-digit growth rate in the smartphone market, eventually overtaking the United States as the world’s second largest smartphone market by 2017. With the number of mobile internet users in India projected to double and cross the 300 million mark by 2017 according to a report by KPMG. 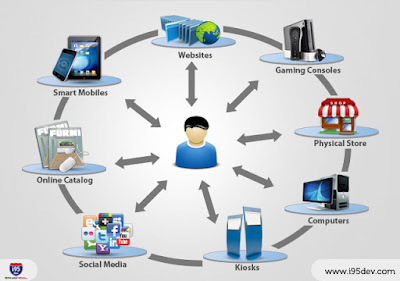 business mobility is emerging as a top priority for Indian enterprises. The company recently announced new solutions, services and partnerships for its Business Mobility offerings. 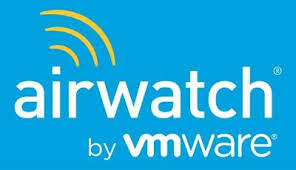 These include the introduction of VMware Identity Manager, the industry's first identity-as-a-service offering, integrated with VMware’s leading enterprise-class mobility management and security platform. This provides IT with a central place to manage end-user provisioning, access and compliance. ​JDA Software Group, Inc. has announced new integrated fulfillment capabilities that combine the power of JDA Intelligent Fulfillment and Labor Productivity solutions with Order Management solutions from IBM Commerce. By leveraging this powerful technology collaboration, companies can process orders more intelligently and profitably across sales channels in real-time to ensure customers have a flawless end-to-end buying experience. * “Click and Collect ordering delivers simple, customized ordering for shoppers, and cost savings for retailers. Instead of navigating a confusing array of options, JDA offers a simplified experience that allows shoppers to select their preferred pick-up or delivery time and location as part of a streamlined, simplified buying experience. Behind the scenes, JDA and IBM integrate the order management, the warehouse management and the transportation management systems to fulfill each order profitably. For example, retailers can reduce inventory by linking to distribution centers and hubs while maximizing transportation assets because shipments by automatically consolidating shipments and optimizing routes. * “Rescue the Return minimizes the cost of product returns. Product returns are becoming significantly more costly for omni-channel retailers who lack visibility into incoming returns, and the resources needed to process these items. As a result, returned items at a store location rather than being added back into inventory and sold to a customer. JDA’s new release features an intelligent returns authorization process where the order management system alerts the warehouse management system of expected returns. By including returned items as part of available inventory, teams can proactively fulfill orders and reducing the number of mark-downs in order to minimize lost sales, and maximize margins. * Destination-driven demand shows the true source of orders. When shoppers can’t find the product they’re looking for in a store, store associates typically arrange for delivery from a fulfillment center to their home. However, traditional fulfillment systems fail to attribute this demand to that store location which results in forecasts and inventory plans which, over time, fail to deliver an accurate assessment of what is in stock, which can ultimately impact the customer’s experience. With these new capabilities, teams have insight into each customer’s omni-channel order details which enables accurate forecasting and replenishment of stores and, more broadly, improved upstream inventory positioning to reduce labor, transfer and shipping costs in the future. The Confederation of Indian Industry (CII) organized the Annual Power Conference in the city recently, with its theme ‘Solar Power in Karnataka - Chartering the Path for a Bright Future.’ Leading industry experts highlighted the optimistic sentiments and the opportunities that the policies of the Centre and the State governments have opened up in this sector. The conference dwelt in detail on key issues relating to the Centre’s ambitious plans to generate 100 GW of solar power in the next seven years alongside Karnataka’s pioneering effort to notify a separate policy to tap this all important source of renewable energy. The meet saw speakers cover important issues relating to government policies and challenges, roof top solar power, emerging technologies in the sector besides highlighting grid evacuation, availability and load despatch. 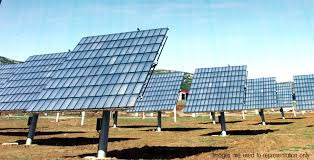 Equal emphasis was laid on the all important aspect of the financial model of generating solar power. 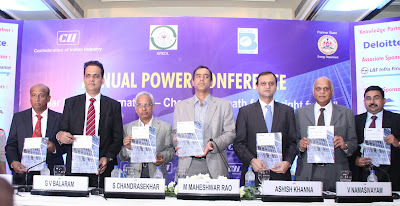 In his inaugural address Maheshwar Rao, Managing Director, Karnataka Power Corporation Limited said that the state envisaged a capacity addition of 2000 MW by 2021 through grid connected utility scale projects. This would be in addition to grid connected roof top ventures. Besides, the policy, he said proposed to increase energy access through solar power grid solutions. In this context, he added that the state’s policy aimed at installation of over 400 MW of solar rooftop projects by 2018.Harvesting solar energy through rooftop installations helped in reducing dependence on diesel based captive and back up generation units. At the same time he referred to the challenges that the solar sector posed even as it continued to evolve. Particular mention was made of the lack of enforcement of Renewable Purchase Obligation (RPO) target. This, he said, was a critical issue which was cramping development of renewable resources. Likewise, poor financials of state power utilities continued to be a cause of concern in the process impacting the viability of renewable energy projects. Of equal significance was the issue of land availability and acquisition. However, speaking on the issue, G V Balaram, Managing Director, Karnataka Renewable Energy Development Ltd, said that the state government was set to generate over 1000 mw of solar power through the lease holding of land alone. An estimated 15000 acres of wasteland near the IT capital had been found for setting up a solar park with the possibility of generating over 1600 MW, to start with. He said the government hoped to develop such parks to generate at least 6000 MV of solar power. In fact, he sad once ready this would be the world’s largest and cheapest solar park. NTPC and other parties had also evinced interest in putting up solar power plants here ranging between 500 MV and 600 MW. Vedamoorthy Namasivayam, Senior Director and Energy & Resources Industry lead, Deloitte Touche Tohmatsu India Pvt. Ltd, gave an overview of the challenges in the renewable energy sector with emphasis on economics, environment and security. While favorable state level policies, feed-in-tariff regime, viability gap funding mechanism, capital subsidies and progressive net metering arrangements had created a supportive environment, he said critical issues continued to plague the sector. His views were echoed by Ashish Khanna, Chief Executive Officer, Tata Power Solar limited. He said while the ambitious targets showed the determination of the government in realizing its goal in terms of solar power generation land acquisition process, long approval and clearance processes, did create bottlenecks. One of the key issues affecting the spread of technology, he said, is related to inadequate grid infrastructure. While intermittent power generation from solar technology did pose a major technical challenge. In this context, he added that the government’s vision in tapping solar power was good but the problem really lay in the execution of plans. It was also important to invest in technology while putting up the desired infrastructure. S Chandrasekhar, Past Chairman, CII Karnataka, & Managing Director, Bhoruka Power Corporation, maintained that the focus on solar technology, initiated with the launch of the National Solar Mission in 2010, was positioned to take advantage of the huge potential of this renewable power source. It aimed at leveraging the current trends of declining solar costs. With the Union government’s recent decision to scale up the installed solar capacity, from 3.7 GW to 100 GW by 2022, the focus on the development of the sector had taken centre stage in the Indian power sector.